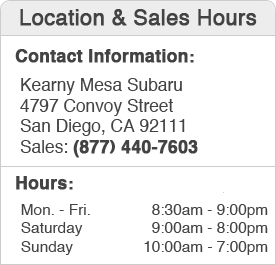 At Kearny Mesa Subaru we would love to hear your feedback. If you have any questions or comments for us please fill out our contact us form and we'll happily get back to you as soon as possible. 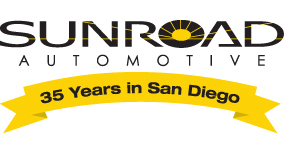 If you have any questions about the car buying process, about your Subaru's recommended maintenance schedule, are looking for a part or accessory, or anything else our friendly customer service representatives are here to help. We can answer any of these questions through your preferred method of contact; email, phone, or in person. We look forward to hearing from you!